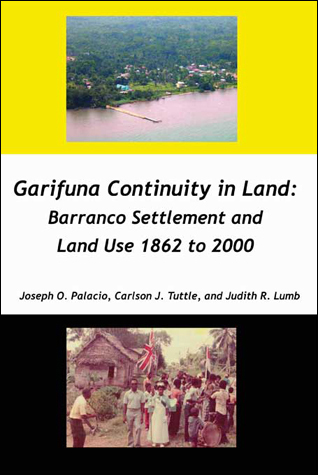 Garifuna Continuity in Land: Barranco Settlement and Land Use 1862-2000 is an historical overview of Barranco through the ownership of house lots and farmlands. Barranco is a village in the south of Belize, which was self-settled by the Garifuna, a nation formed from the blending of African and Native American roots. While less than 150 people live in Barranco, thousands call it home, having grown up there, being related to those who have, or adopting it as their home. We document the land of Barranco—its village lots and farmlands, the interplay between the formal government land systems and the informal systems of land tenure, the geographical clustering of ownership, kinship considerations in the inheritance of village lots, gender considerations in land tenure, shifting locations of farmlands, and the continuity of the village for nearly a century and a half. Focusing on this continuity can inspire the community of Barranco into a prosperous and fulfilling future.